QUARTZ CRYSTAL has many natural properties that support its ability to store, transform, strengthen + transfer energy, thus making CRYSTAL BOWL SOUND HEALING a powerful means of healing. What do the Crystal Bowls do? Our healing bowls are made from quartz crystal. They are able to keep a continuous balance of electro-magnetic energies. These are the same as the energetic field exists within all life forms. The clear quartz is able to integrate the balance of our own electromagnetic energies. The crystal bowls are tuned to the specific vibrational frequencies found within our body’s energy or chakra system. When sound moves through the air and touches us, it causes our cells to move in different directions at a different speed, in rhythm with the sound wave. We move into harmony with the sound wave as it enters into our very cells. The earth and our entire body are made up of energy, all vibrating at different frequencies. When we are out of rhythm in our natural frequency, disease and dis-harmony are able to manifest. It is through the vibration during a sound healing that our energy channels are able to release any blockages. Studies have shown that SOUND has a direct impact on our mental processing, muscles, nervous system, pulse and heartbeat, as well as digestive and circulatory systems. Crystal Bowl Sound Healing is one of the most dynamic forms of sound healing found today. 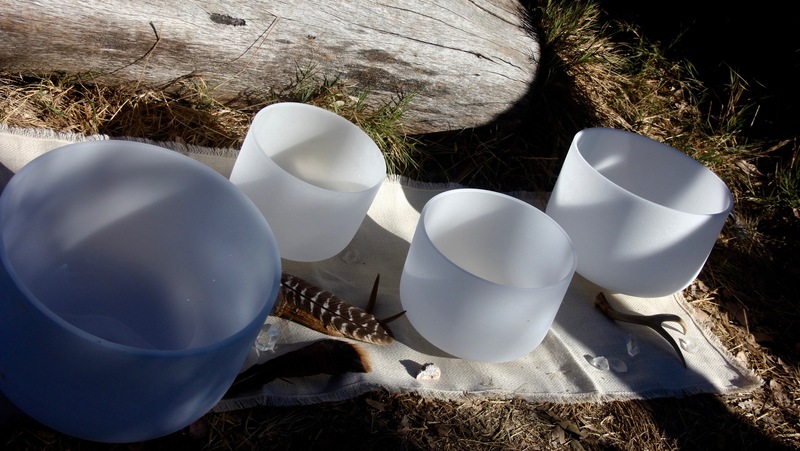 Mother + baby will be bathed in the soothing, nourishing vibrations of the CRYSTAL BOWLS. A session brings a sense of calmness to the body, mind+ spirit. It offers emotional+ energetic balance as well as nourishment to both you + your baby. It aligns the chakra system as the bowls are played with pure intention and REIKI energy. When the bowls are played with PURE intention and filled with REIKI energy, a shift occurs bringing about a harmonious balance in our energetic system and consciousness. Individual + group sessions are available. You may also combine sound healing with other services.